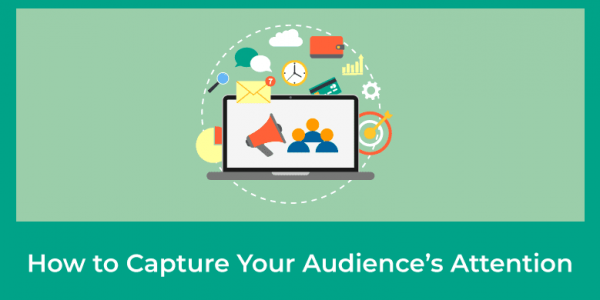 If you’re NOT getting the engagement in your business, then stay tuned for the 4-step method to capture your audience’s attention in under 7 seconds! All while using the unparalleled power of video marketing, then you’re in the right place! To create an instant connection, establish rock-solid rapport, and turn your audience into interested, ready-to-buy customers, and motivated, ready-to-join team members. You’ve still got to compete in a very NOISY world, where, for example, roughly every 5th post in the Facebook News Feed is an ad, and Facebook is scientifically designed to keep its users scrolling…and scrolling…and scrolling (…instead of stopping to focus on whatever you’re selling). You’ve only got seven seconds to snag your prospect’s attention! In contrast, back in 2000, human beings had an attention span of 12 seconds. Want to guess what the human attention span is today? We literally get distracted faster than a goldfish! Think about this 8 second stat when it comes to YOUR online marketing. In the blink of an eye, they’ll be watching someone else’s video. But to stay tuned into your product demonstration, watching with rapt attention, and ultimately asking how they can learn more about where to get your product. But to stop scrolling, continue to watch the rest of your video, and comment below to find out more info from you. And remember, you want to keep the focus on your viewer. To specifically attract ready-to-buy prospects and turn them into happy customers, all using short product demo videos. 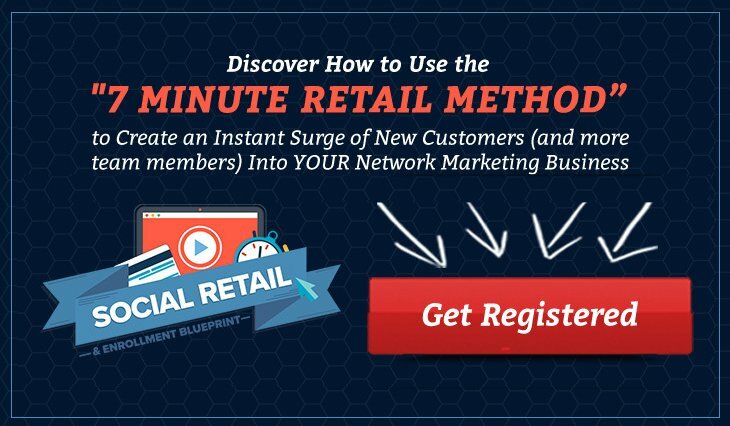 The training is called the “7 Minute Retail Method” and I delivered it LIVE this past “Black Friday”—the day after Thanksgiving. If you’re involved in ANY kind of network marketing, direct sales, or home business opportunity… I hope you didn’t miss out! So that together, we were able to help a lot of people around the world during this past holiday season. But you’ll simultaneously be helping to end hunger and poverty in the developing world! CLICK HERE to get all the details and see how you can grab this at a special one-time price!